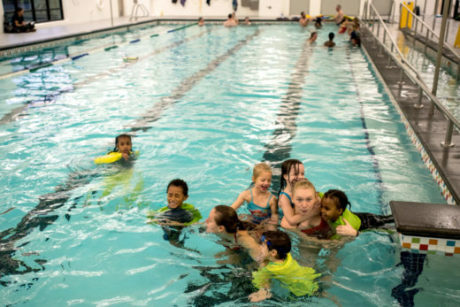 “Friday night is a great time to be at the Phillips Aquatics Center: It’s really bustling with young people,” says Sarah Chillo, Aquatics Manager for the Minneapolis Park and Recreation Board (MPRB). She says a lot of them go back and forth, which is not just OK, but encouraged. As Chillo sees it, that shows the aquatic center’s mission in action: expanding both water safety and recreational swim opportunities for the neighborhood and the broader city. 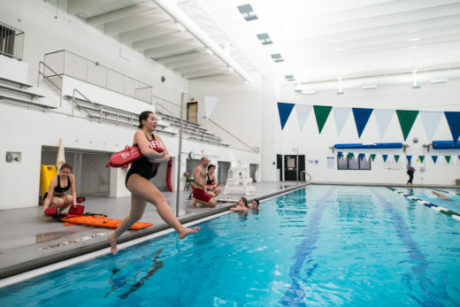 Another group the Phillips Aquatic Center (PAC) serves is student athletes, as a site for swim meets and for regular practice times for girls’ and boys’ teams from Minneapolis Public Schools. Whether they’re athletes, aspiring lifeguards or simply having a fun night out, youth have developed a sense of pride and ownership in this new community asset. 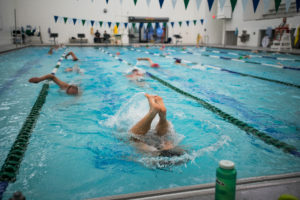 “The swim teams finally have a home, where they can build their team identity together instead renting time at pools all over town, and teen night is one of the ways PAC makes it easier for anybody to work swimming into their daily or weekly routine,” said Chillo. Indeed, PAC is meant to attract anybody and everybody who wants to get in the water: toddlers taking their first dip; masters-level adults arriving at 6 a.m. to refine their strokes; seniors staying flexible with water walking; swim times for women and girls only. 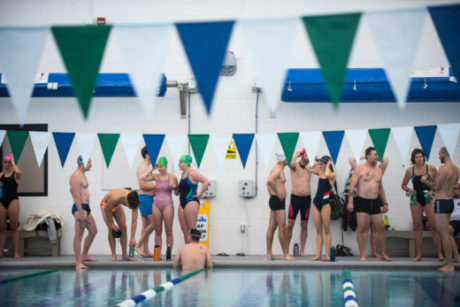 It was designed and programmed to be welcoming and inclusive for all ages and abilities – which has resulted in a calendar packed with lessons, community and recreational activities; team practices and club rentals; competitions and special events. Partners, supporters and collaborators have been essential to helping fill that calendar. It’s all part of integrating into the Phillips community, and being responsive to its diverse immigrant and cultural communities. 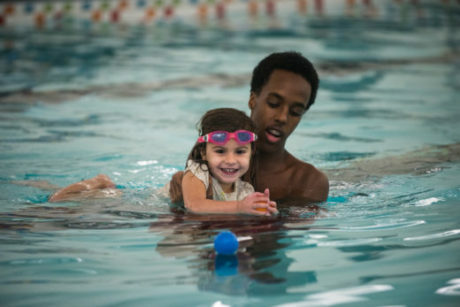 For instance, in working to expand culturally sensitive swim times for women and girls, MPRB has partnered with Hennepin County Public Health and B.R.A.V.E., an organization serving young women in the Somali diaspora community. 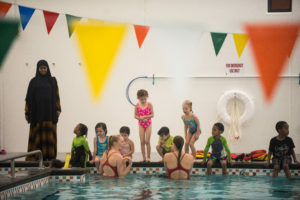 Al Bangoura, who became the MPRB Superintendent in January, sees PAC as a symbol of the organization reinvigorating its commitment to recreation. Contributors include MPRB staff Sarah Chilo, Angela Doheny, Mimi Kalb, Robin Smothers and Dawn Sommers. 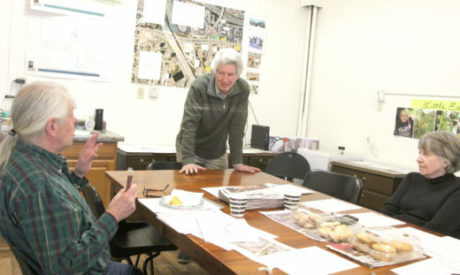 East Phillips Neighborhood Institute (EPNI) members (left to right) Steve Sandberg, Dean Dovolis and Karen Clark discuss the way their proposed indoor urban farm site will benefit local residents. 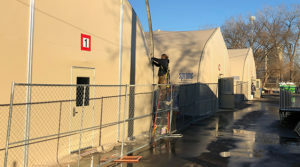 You don’t get a second chance after a building is torn down, and that’s why the East Phillips Neighborhood Institute (EPNI) says it is working so hard to save the 230,000-square-foot Roof Depot structure from the wrecking ball. Dovolis designed the first rendition of the East Phillips Indoor Urban Farm (EPIUF) in 2014 that would have used all 7.5 acres at the Roof Depot site (1860 E 28th St.). And then he designed the 3-acre proposal, the 2-acre proposal and the 1-acre proposal as supporters sought a compromise with the city who purchased the property out from under them in 2016 after threatening to acquire it through eminent domain if necessary. 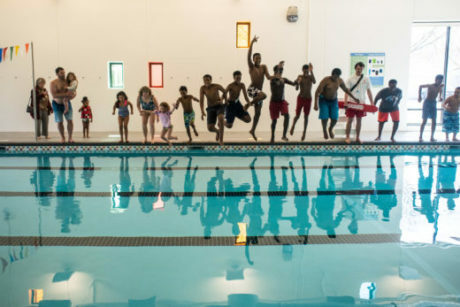 Dovolis has been working in the Phillips neighborhood since starting DJR Architecture in 1985, and has designed multiple affordable housing and other projects, including the Phillips Aquatic Center, and East Phillips Park Cultural and Community Center. This indoor urban farm is yet another community-driven venture that would address racial disparity, provide economic development and fit within the city’s own plan for development along the Hiawatha lightrail line and Midtown Greenway, Dovolis pointed out. Little Earth Resident Association (LERA) is partnering in project, which would offer job training and employment to local residents, as well as a local food source. Other supporters in this diverse neighborhood include Tamales y Bicicletas, a grass-roots Latino-led neighborhood organization; South East Homes, the first East African specialized chemical health treatment program in North America; the Sierra Club, the Green Team, Women’s Environmental Institute, East Phillips Improvement Coalition (EPIC), and Seward Co-Op. 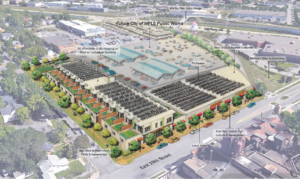 The neighborhood vision for the site includes the renewal of the Roof Depot building into an agribusiness powered by an immense solar array on the roof. The year-round, indoor urban agricultural space would be based on a collaborative farming model and support small, culturally specific businesses owned by local entrepreneurs. Growing food locally in a manner similar to that of Holland would cut down on what’s being shipped to Minnesota from California, and keep that money in the local community, pointed out Dovolis. If you introduce fresh fruits and vegetables into people’s diets, the number of disease and health issues go down significantly. This benefits society as a whole. 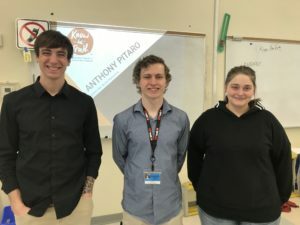 The indoor urban farm would offer jobs that local residents can fill, thereby cutting down on traffic while offering employment within the neighborhood. A bike shop could be situated right on the Greenway. The site would also provide very affordable mixed-use housing. This would completely alter the area currently known by residents as “the intersection of death” for its toxic fumes and high rate of traffic accidents. PLACE TO PUT HYDRANTS OR OFFER AFFORDABLE HOUSING AND FOOD? 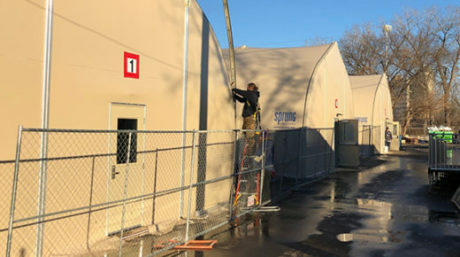 The city’s water maintenance facility, known as the East Water Yard, is currently located on 2.4 acres in Ward 3 at Hennepin Ave. E. and 5th Ave. N. It dates back 120 years and is the hub for maintaining the city’s 1,000 miles of water mains, 16,000 valves, and manholes covers, and 8,000 hydrants. 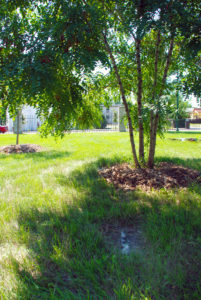 Replacing the maintenance yard is the last major unfinished piece of a 25-year-old master plan for updating the city’s Department of Public Works facilities – but the East Phillips neighborhood group wasn’t informed about this until after it had fashioned an innovative plan for the Roof Depot site and started asking city officials for support, pointed out EPNI supporters. They were shocked to learn the plan was made without consulting local residents, and they scoff at the request now to help pick out plants for the site as being true community engagement. The Water Distribution’s 100 maintenance staff at the East Phillips location (corner of Hiawatha and 26th St.) perform valve operations, greasing and packing of hydrants, street manhole repairs, main water repairs, and leak detection. 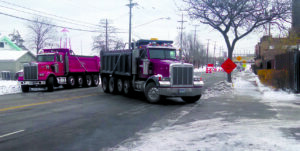 The city expects 68 heavy equipment vehicles to go in and out several times each day from the Roof Depot site. 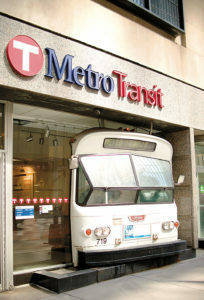 Steve Sandberg has been told by city representatives that they will gain efficiencies by locating public works operations at one site. “You don’t gain anything by consolidating fire hydrants and manhole covers in a sand lot,” he remarked. Brad Pass also questions whether this is a big need. “I’ve lived in this neighborhood for 50 years and I’ve never seen them replace a fire hydrant,” he observed. These city-operated diesel trucks concern neighborhood residents, who have already been fighting the traffic and pollution for years at the Bituminous Roadways asphalt plant and Smith foundry across 26th St. from the Roof Depot. This low-income neighborhood has one of the highest levels of asthma and arsenic poisoning in children in the state. For every 10,000 people, over 200 are hospitalized because of asthma. 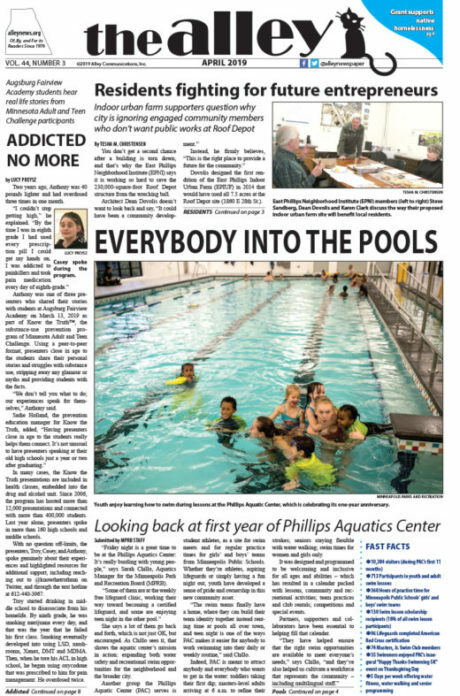 Of the 7,000 children who live in Phillips, about 40% live in poverty and 80% fall into various ethnic groups, pointed out Clark. That amount of pollution is not allowable in the area, according to Clark, who co-wrote the Clark/Berglin Environmental Justice Law that was enacted by the state legislature in 2008. 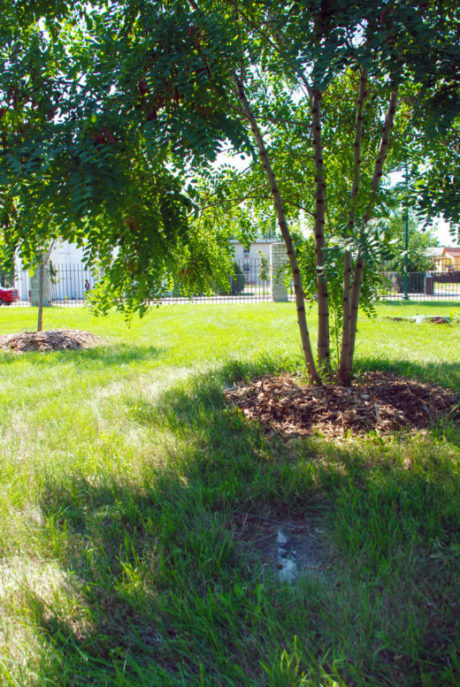 It requires that any project in this neighborhood be reviewed by the Minnesota Pollution Control Agency to analyze the cumulative pollution effects — not only what will be caused by the new or expanded project. Over the years, the law has been applied to projects by the Metropolitan Council, city of Minneapolis, and Abbott Northwestern Hospital, among others. WHY ARE STAFF RUNNING CITY INSTEAD OF ELECTED OFFICIALS? Indoor urban farm supporters want the city to respond to the big questions they’re posing. 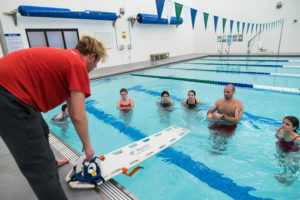 The city has a policy encouraging community participation. Why aren’t they supporting this community-birthed project? 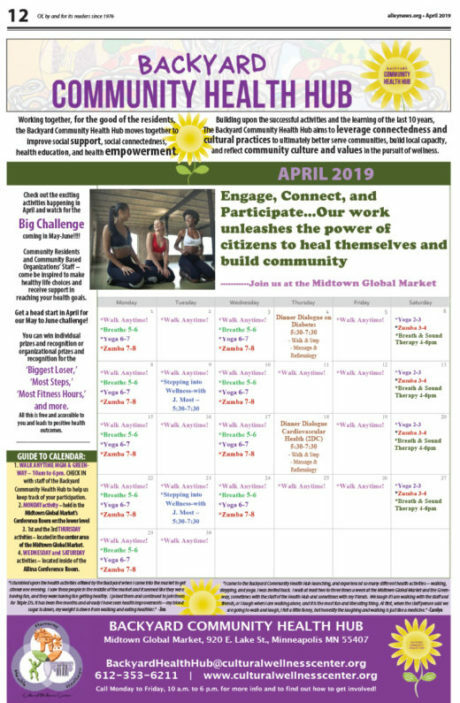 Why haven’t they paid attention to the 400 people who signed a petition in support of the community’s plan or the many people who packed community meetings to support the indoor urban farm? Why haven’t they allowed EPNI to present before the entire city council? 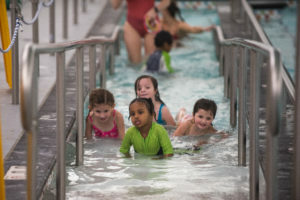 The neighborhood group, in the interest of meeting community needs and those of Public Works, has offered smaller, revised plans, but they don’t see the city doing the same. “There was a lot of compromising on the part of the community,” observed Clark. Indoor urban farm supporters also want to know why the staff directive written by neighborhood Ward 9 City Council Member Alondra Cano and approved by the entire city council in December 2018 is being ignored and misinterpreted by city staff. Just who is driving the decisions made at city hall? Members of EPNI don’t think it is the community or even city council members. In East Phillips, members of EPIC, the community, and EPNI remain determined to fight this level of pollution. After all, they’ve been at this for years. They staved off the Hennepin County Garbage Transfer Station at Cedar and 28th in the mid 1990s; kept out the Midtown Eco-burner (Cogenerating Plant) in 2007; and convinced Xcel Energy to bury high voltage power lines along the Midtown Greenway in 2009. In 2010, they celebrated the grand opening of the East Phillips Park Cultural & Community Center which they fought for, funded and designed; and in 2018, after a six-year battle, they came together with other Phillips organizations to save the existing swimming pool and build another in the new Phillips Aquatic Center. They say they’re not giving up on the Roof Depot site. The stakes are too high. Lorenzo Prescott’s marker was replaced last year. Obituaries can be a source of valuable information for people wanting to know about family members or other people they’re interested in, but not all obituaries provide the same information or even close to it. The style and substance of obituaries has changed over time. During the late 1800s up until about the middle of the 20th century, obituaries functioned as death announcements and mostly offered details about funeral and burial arrangements but little else. More recent obituaries tend to focus on achievements and accomplishments and connections to family and friends, sometimes in the newspaper, but increasingly in social media. Only the base of Sarah Dickey’s marker is left over 150 years later. DIED – In Minneapolis, December 4th, Mrs. Sarah R. Dickey, wife of Mr. William Dickey. 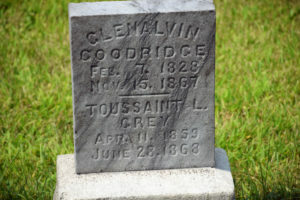 DIED – In this city, June 28th, of heart disease, Toussaint L’Overture Grey, second son of R. T. and E. O. Grey, aged 9 years, 2 months and 17 days. A devoted son and loving brother, his death will leave a void in the family circle, never to be filled. A good child, loving his Sabbath school and his God, he was willing to die, and asked his family to meet him in Heaven. He leaves a large circle of friends to sympathize with his parents over his early death. In that bright and happy land. Toussaint’s marker was made of harder stone. The Minneapolis Tribune’s announcement of Lawrence (Lorenzo)Taliaferro Prescott’s death is sparse considering the fact that he was the son of one of Minnesota’s best-known territorial pioneers. He was the son of Philander Prescott, one of the casualties of the 1862 Dakota Conflict, and Mary (Spirit of the Moon) Prescott, the daughter of a Dakota tribal elder. Lorenzo served with the first Minnesota Heavy Artillery during the Civil War until he received an honorable discharge for a medical disability. 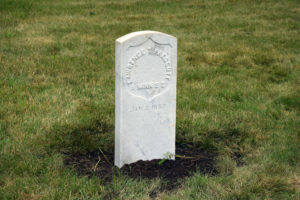 While serving on the East Coast, he contracted malaria and his death is thought to have been caused, at least in part, by an overdose of quinine, the preferred treatment for malaria at the time. Lorenzo returned to Minnesota and married Marion Robertson Hunter, the granddaughter of Grey Cloud. He worked as an interpreter in one of the relocation camps in Nebraska, but returned to his sister’s home in Shakopee when his health failed. The following announcement appeared in the Minneapolis Tribune on Jan. 6, 1869, three days after he died from ulcers. He was 30 years old. Lorenzo Prescott is buried near his parents on what the Tribune described as “the old homestead, near Minnehaha.” That appears not to have been the case since his parents had been buried in the family’s plot at Layman’s cemetery almost two years earlier. Despite the occasional error or misunderstanding, obituaries are a valuable source of information and have preserved some sense of what people were like. Not just how and when they died, but how they lived.